House Republican leaders are staunchly backing President Donald Trump’s declaration of a national emergency ahead of a possible vote to rebuke the action. McCarthy and Scalise’s statements come hours ahead of a Democratic push to vote on a disapproval resolution on Trump’s national emergency declaration. The measure is expected to pass the House of Representatives with Democratic support. Only one GOP congressman has publicly said he will vote for the resolution, libertarian Justin Amash, a Republican from Michigan. The same congressional Republicans who joined me in blasting Pres. Obama’s executive overreach now cry out for a king to usurp legislative powers. If your faithfulness to the Constitution depends on which party controls the White House, then you are not faithful to it. Trump issued a plea to Republican members of Congress to support his national emergency declaration while en route to Hanoi, Vietnam for his summit with North Korean leader Kim Jong Un. The disapproval resolution will then make its way to the U.S. Senate where two Republican senators have already said they will vote for it. 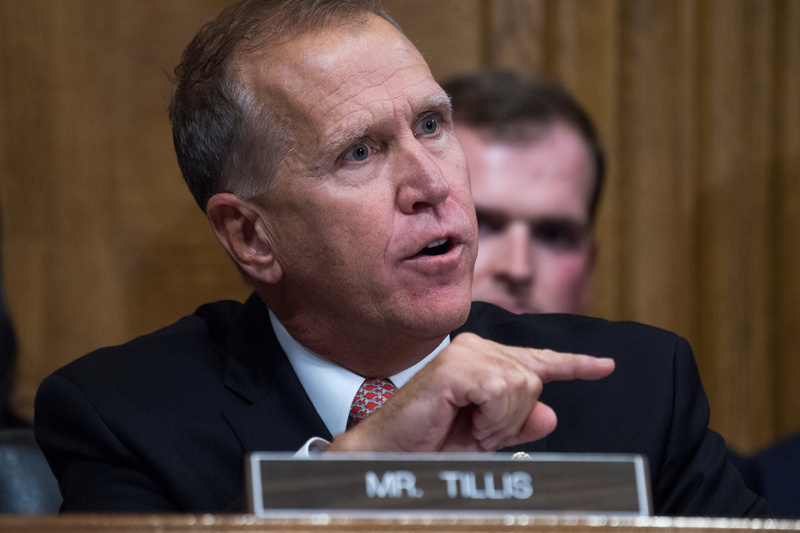 Maine Sen. Susan Collins and North Carolina Sen. Thom Tillis said they will join Democratic ranks to oppose the national emergency declaration on constitutional grounds. PRESS: Will you veto the resolution introduced today that would block your national emergency if it passes? TRUMP IN OVAL: “On the wall? Will I veto it? 100 percent. 100 percent. Regardless of whether the measure does garner enough votes in the Senate, Trump declared intention to issue a veto. “Will I veto it? 100 percent,” he declared Friday.